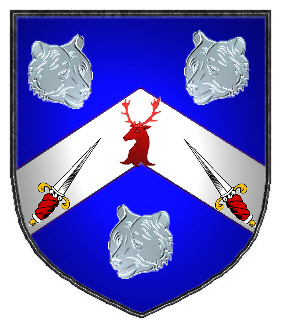 Blue with a silver chevron on which there are two daggers pointing at a buck's head, all between three silver bears heads. Motto Translated: With a strong hand. 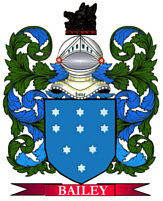 Blue with a gold chevron on which there are two daggers pointing at a buck's head, between two silver bears heads in chief and a gold wreath in base. 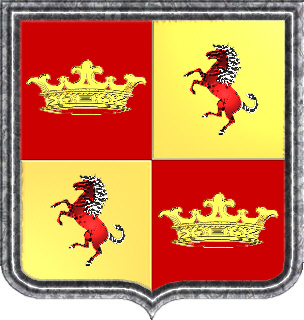 Coat of Arms: Quarterly, 1 and 4 red shield with a gold crown, two and 3 gold shield with a red horse rampant.